The latest issue of The Revelator is now online. Eric Schaller and I put this one together with love and craft. 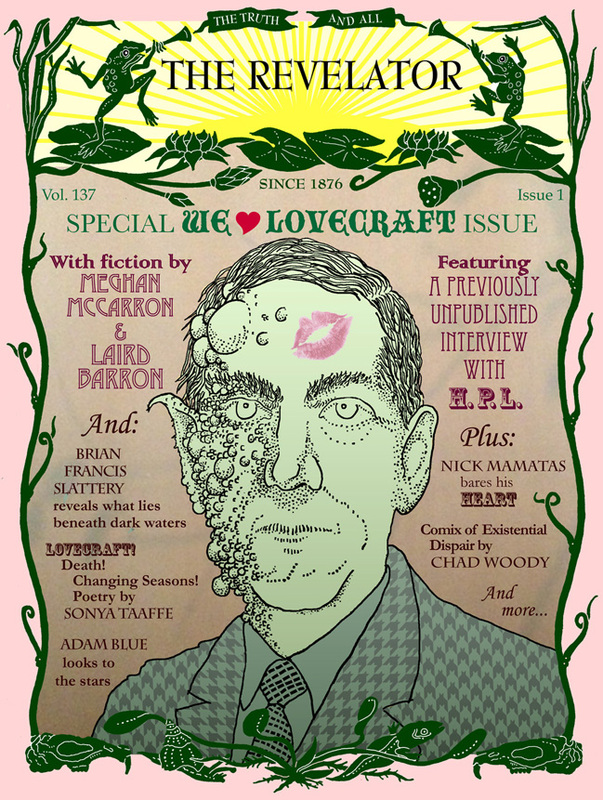 It includes new short stories by Meghan McCarron and Laird Barron, poems by Sonya Taaffe, comix by Chad Woody, a column on music by Brian Francis Slattery, art by Adam Blue, miniatures used in the movie The Whisperer in Darkness, a previously-unpublished interview with H.P. 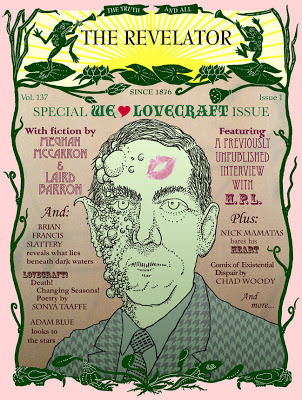 Lovecraft that Nick Mamatas discovered, etc. Once again, we have, we believe, fully embodied our motto: The Truth ... And All. The easiest way to keep apprised of the always-unpredictable, regularly irregular schedule of The Revelator is via our Facebook page.